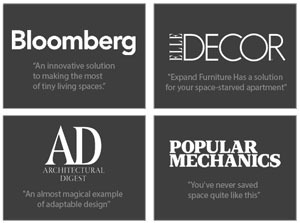 Furniture styles and functionality is always evolving – and thank goodness for that! The world would be a very different place if we were all still sitting on the dainty fainting couches of old that has little more than a piece of padded fabric draped over some plywood. Or if we still had the down mattresses that became like sacks of wet, dusty cotton over time. Sofa beds used to be all the rage in your granny’s day. Families were much more likely to take road trips to see each other, so everyone had a sofa bed to give people a place to sleep when they came to visit. A lot of people now have memories of dusty sofa beds that were impossible to open and that were covered in ugly paisley or floral prints. Today’s sofa beds are space saving miracles that are also stylish and sophisticated. 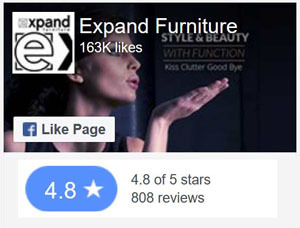 The Harmony king sofa bed from Expand Furniture, for example, has a sleek design wit clean lines and a contemporary aesthetic. 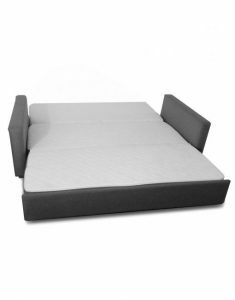 It comes in iron grey fabric (or basket beige), and it includes a memory foam mattress that sleeps like a dream. The sofa can provide space for guests to sleep, or it can help you make better use of your space. We’re confident that more people are going to recognize the many benefits of space saving sofa beds and that they will invest in them in greater numbers once they also realize how stylish they can be. People will use sofa beds to make bedrooms into home offices or to add guest rooms where they have none. In addition to being more stylish, modern sofa beds are also more comfortable. They come in larger sizes, and they have the option of more comfortable mattresses. The Harmony bed mentioned above is just one of many that comes with a memory foam mattress, which contours to the body of the sleeper, providing support just where it’s need and a comfortable sleeping surface everywhere else. The Murphy Sofa king wall bed sectional is one of many that comes in a larger size. Instead of being cramped on a small, flimsy mattress like on the sofa beds of old, you or your guests can sprawl out on a huge mattress made of some of the most comfortable materials. Many people don’t have king beds because they can’t afford the space. A king sofa bed or wall bed allows you to have that luxurious sleeping area without sacrificing the space. You just put the bed away when you’re not using it, and all you have to do is lift the platform with a simple motion of the hand. No wrestling with the creaky metal frame required! The mattress doesn’t always come out of the couch seat with today’s sofa beds. 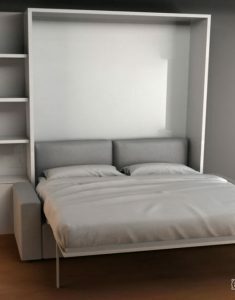 A sofa wall bed has a mattress tucked away in a cabinet against the wall. When you are ready to use the bed, you just pull down the mattress platform, and it lays right over the sofa seat. You don’t have to move the sofa, and you don’t have to maneuver any complex mechanisms. You get the benefits of having seating for a living room or other communal area, as well as a bed for a bedroom or other area that can accommodate guests. 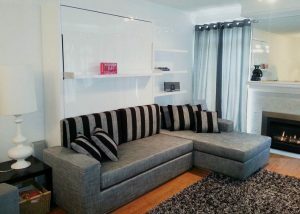 The Murphy Sofa sectional wall bed float shows what’s possible with the sofa wall bed. Not only does it include the above benefits, but it also has accessories like wall shelves and a floating shelf on the bed. When the bed is pulled down, the shelf swings down to hang below it. You don’t have to remove the items from the shelf when you want to use the bed, so it is very convenient. Thanks to the functionality, the style, and the exceptional craftsmanship of today’s space saving sofa beds, we are confident that we will see more of them in the new few years. In fact, we’d be so bold as to say we’ll see one in every home by the year 2020. 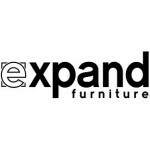 Look through the online catalog at Expand Furniture to find even more space saving sofa beds to fit your needs and match your style. You can find the perfect king sofa bed or a sofa wall bed with the accessories you want. 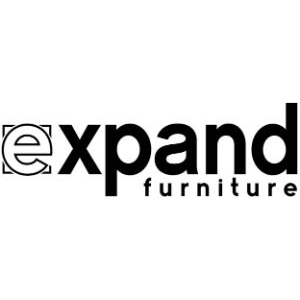 We also have other space saving furniture that can help you maximize your space, such as transforming tables, modular shelving systems, and nesting side tables. With the right combination of pieces, you can transform your home.